Welcome! I’m so glad you found Healthy Christian Home. I’m Mary – an aspiring artist + avid reader enjoying life with my husband and two sweet, rambunctious boys. I believe that God has provided us incredible tools health and happiness, which is why I created Healthy Christian Home. Growing up, I was given a great foundation and knowledge of nutrition through my mom, who taught us about the importance of real food and a healthy lifestyle. However, I took this blessing for granted in my early twenties and didn’t always take the best care of myself (think sleep deprivation, junk food, and more). 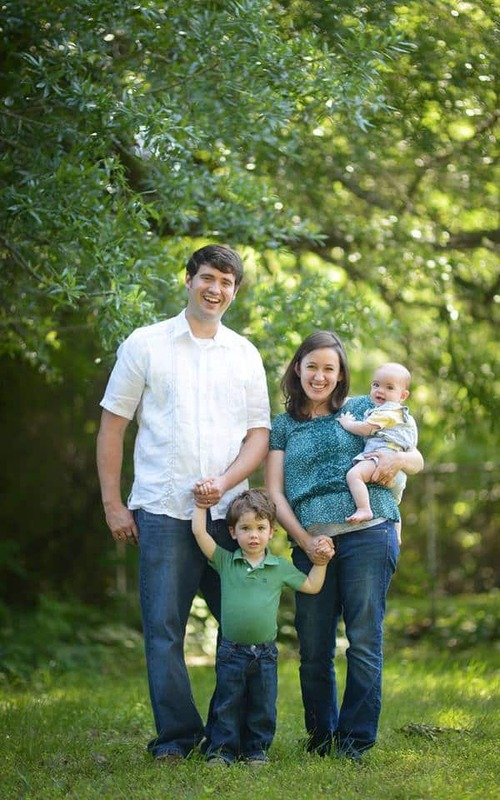 Despite this, things were rosy until about three months after having my first baby. 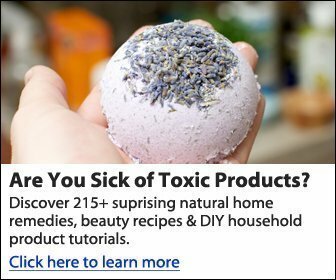 At that point, I had neglected myself to the extreme and began suffering a laundry list of symptoms including major fatigue, mood issues, insomnia, shortness of breath, loss of appetite, and more. 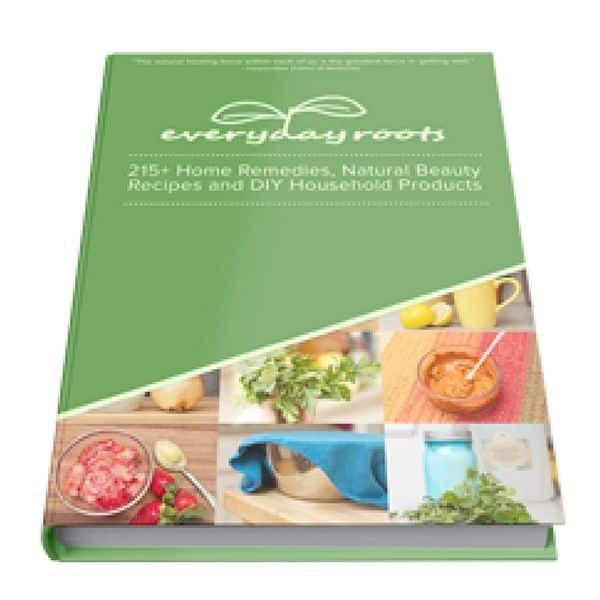 I wasn’t sure what was happening at the time, and it took me several years of doctor’s visits and digging to find that I had iron deficiency and adrenal fatigue, among other deficiencies. This experience taught me to value and respect the body God gave me. It also taught me the importance of a strong faith as never before. That’s what I want to bring to this blog – a melding together of physical health (nature) and spiritual health (nurture). What makes this blog different from all the other mommy blogs out there? There are lots of wellness and food blogs on the net, but the spiritual focus sets Healthy Christian Home apart. Physical and spiritual health are so often seen as two separate entities, but they go hand in hand and complement each other in many ways. Healthy Christian Home exists to help you nourish yourself and reach your full potential – body and spirit. BODY – by meeting all your physical needs, you can be the strongest version of YOU. I want to help you make conscious choices on how you are feeding and caring for your temple. SPIRIT– at the pinnacle of who you are lies your God-given spirit, which is the real, untainted version of you. When your spirit is in tune with God, your life will finally be all that it can be. Join with me as we learn to nurture our spirits in the everyday. If either of these areas are neglected, it can affect all the other. I am passionate about helping others achieve balance, health, and spiritual strength in every part of life. Wanna talk to me directly? You can email me at mary [at] healthychristianhome.com. Please get involved in the community of other spiritual and wellness-minded mamas! Comment on anything you find interesting and share your personal journey or lifestyle tips. Whether you’re interested in spiritual, physical, or family wellness, I’ve got you covered with special free resources when you join our community! What appeals most to you? 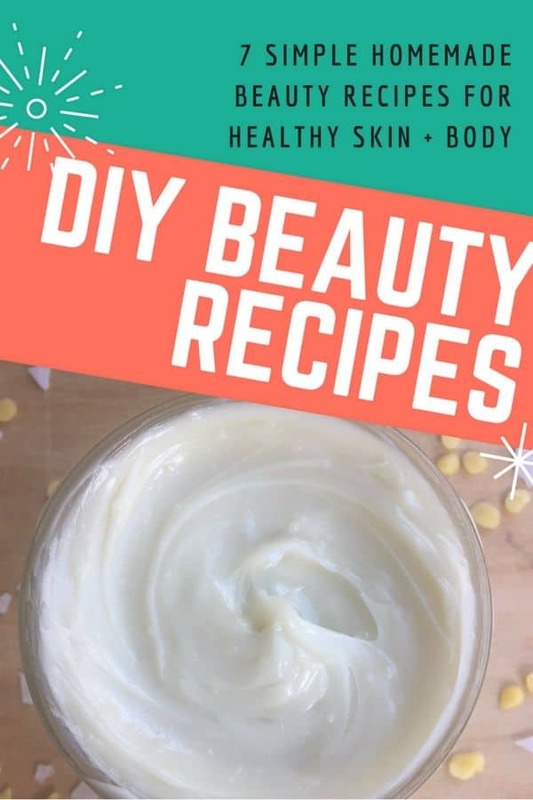 Also, follow Healthy Christian Home on Pinterest and Instagram for more inspiration, and like us on Facebook! We’ve also got oodles of resources for you to grow spiritually right NOW!! The Healthy Christian Shop is full of Bible study and prayer resources, as well as inspirational scripture art! You know that overwhelming feeling you get when you want to study your Bible, but you have no idea where to start? 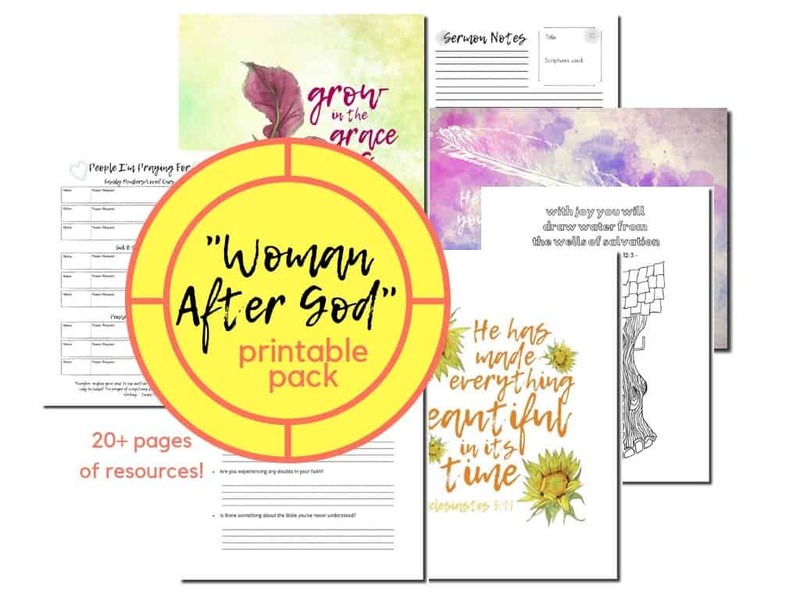 Let’s stop this pattern for good with the “Woman After God” printable pack! This is the perfect resource for any woman who is chasing God. 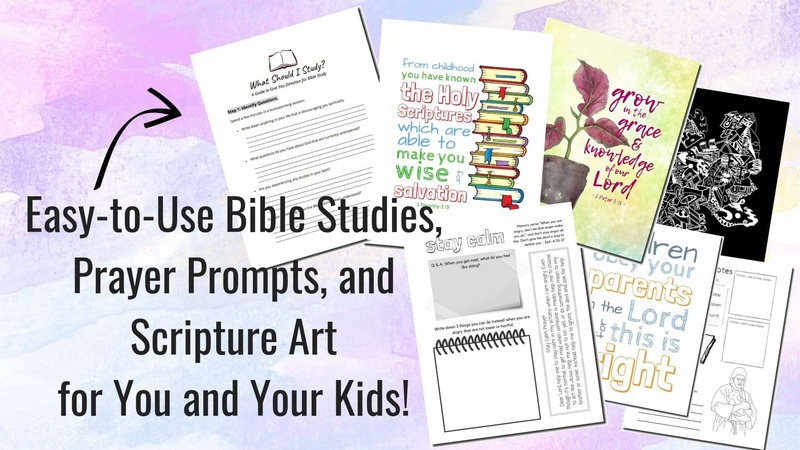 With these printables, you’ll learn to study the Bible effectively, answer deep burning spiritual questions, dive deep into the realm of prayer, and be encouraged with inspirational Scripture art. Are you concerned about your child’s spiritual life? A true relationship with God is something your child has to develop within themselves – but you can help point the way. Your child needs to be taught how to study the Bible. They need to be encouraged to ask the hard questions and speak openly with God in prayer. 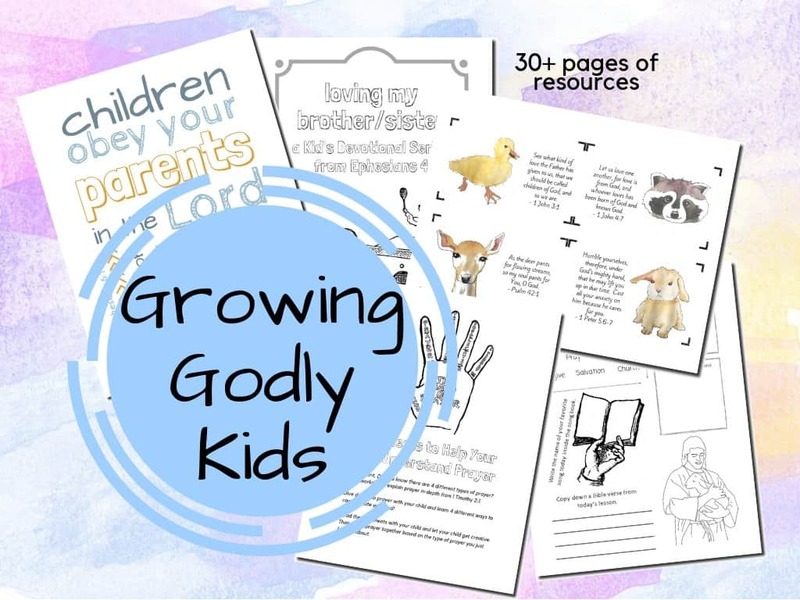 It may be a daunting task, but the “Growing Godly Kids” Printable Pack is here to help! This collection has a plethora of resources to help draw your child closer to God’s heart! 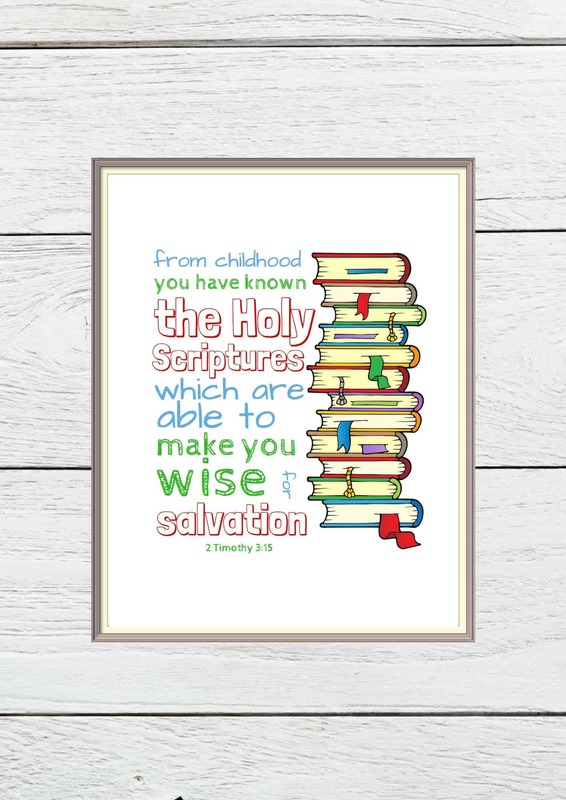 The “God’s Children” Scripture Wall Art set is the perfect resource for any Godly kid in your life! Keep God’s Word in front of them each day in their bedroom – a creative way to hide it in their heart!